Ms. Henry has joined our firm as a partner and chairperson of our ERISA/Employee Benefits Practice Group. Ms. Henry has over 10 years' experience representing multiemployer Taft-Hartley pension and welfare funds, regularly advising clients on ERISA plan administration and compliance issues. She brings a wide breadth and depth of knowledge and experience with respect to the Affordable Care Act, Pension Protection Act, HIPAA, Mental Health Parity Addiction Act and COBRA. Ms. Henry also has experience drafting and administering single employer plans. She has drafted ESOPS, KSOPS, VEBAs and other nonqualified deferred compensation plans. 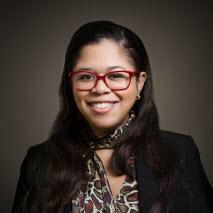 Ms. Henry graduated from Michigan State University College of Law and has a Master of Law in taxation from New York University School of Law. She is a member and frequent speaking panelist of the International Foundation of Employee Benefit Plans and the American Bar Association Labor and Employment Law and Employee Benefits Committee. Ms. Henry is also a contributing author and Union Co-Chair Chapter Editor for Chapter 8 of the Employee Benefits Law Treatise and Supplements. Ms. Henry spent almost 10 years at Cohen, Weiss and Simon LLP as an associate and then a partner. Prior to joining that firm, she was attorney in Indianapolis, Indiana, where she worked at Ice Miller, Legal and Business Advisors, and then Alliance Benefit Group. Ms. Henry is admitted to practice law in New York and Indiana. Please see her curriculum vitae which is attached.